KZN hotel owner Phumlani Ngwenya started his business journey selling sweet potatoes and boiled eggs. This is his phenomenal story. Small businesses play a vital role in South Africa’s economy. Not only do they provide a better life, but they also open doors to prosperity and inclusivity. Those who have been disadvantaged have a chance to reduce poverty and lend a hand in improving infrastructure, and socially and economically transforming their communities. Access to financial services is vital for this sector of the economy, and Ithala recognises the value in this. The Ithala Development Finance Corporation’s Business Achievers Awards, which recognises business achievements and excellence, celebrates South Africans who have achieved high business honours. Phumlani Ngwenya, a businessman from Pongola, was named the winner of the 2018 award. Phumlani has built his business from the ground up and has a greater plan to become the next Sol Kerzner. “If Sol Kerzner, who started out small, could do it, there is nothing to stop me,” he says. 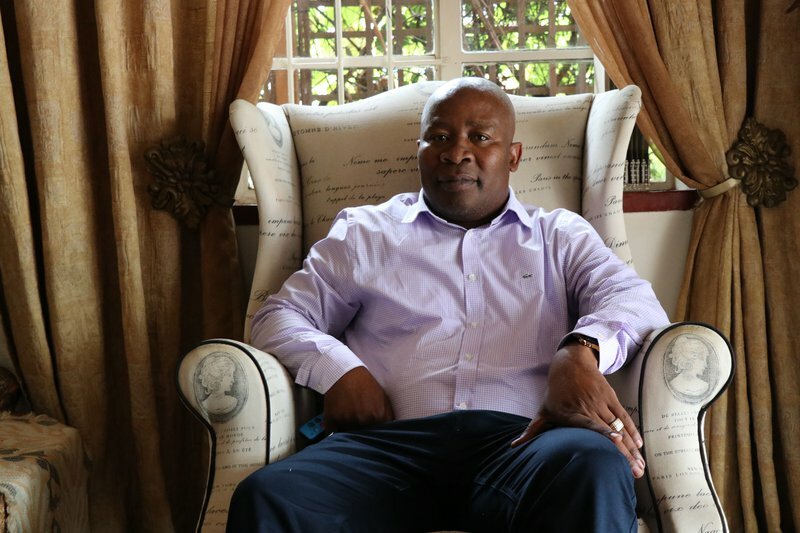 He owns a guest house and two hotels – Crocodile Creek, Magudu Inn, and Kwalala Lodge - in Pongola, Zululand, and his property portfolio includes six other commercial properties in various KwaZulu-Natal towns leased to a variety of government departments. His guest house, Crocodile Creek, accommodates 100 people; Magudu Inn sleeps 400 people and has conference facilities and dining halls; and Kwalala Lodge is a 45-bed four-star luxury guest house and B&B, which he bought in 2017. But Phumlani’s story didn’t start out easily. It was through sheer hard work and determination that he has reached the success he now enjoys. Born and bred in Ncotshane township in Pongola, Northern KwaZulu-Natal, Phumlani was an entrepreneur from a young age. To help his mother make ends meet, he sold boiled eggs and sweet potatoes after school to patients queuing outside a local doctor’s surgery. He progressed to selling paw-paws near a local petrol station and was soon offered a part-time job as a petrol attendant. His ability to speak fluent Afrikaans earned him favour from locals, including an attorney who took him in and “adopted” him. He paid his school fees, bought his books, and sent him to college to become an Afrikaans teacher. After graduating as a teacher from Eskaweni College in 1991, he started teaching at his previous high school. While teaching, he didn't stop pursuing his business dreams. He opened a fast-food tuck-shop near the school, a modern-day care centre for children, and a stationery business supplying study guides and materials. In 1999, he used his savings to build a four-bedroomed house to sell for profit. But realising there was a demand for accommodation in Pongola, he changed his mind and opened his house as a guest-house and became the first person in the area to own a B&B. For the next year or two he struggled to fill his guest house, however, a cholera outbreak in 2002 led to a big demand for accommodation for nurses from other provinces. Phumlani accommodated 13 nurses for three months and finally earned a sizeable profit. Using this as capital, he expanded the property into a 20-bedroom guest house. His biggest challenge was raising finance when he wanted to buy Magudu Hotel - an old 18-bedroomed hotel outside Pongola. Commercial banks would not take his guest house as security for the loan, but Ithala bank approved his loan within a month. He slowly revamped the hotel, adding on rooms and facilities. When he had Kwalala Lodge in his sights in 2017, he once again received the financing he needed and is now the proud owner of the 4-star luxury guest house. Phumlani truly is an inspiration and shows just how much can be achieved with hard work. For more information, visit www.ithala.co.za or call 031 907 8911. For more inspirational stories visit Ithala's blog: www.myithalastory.com.